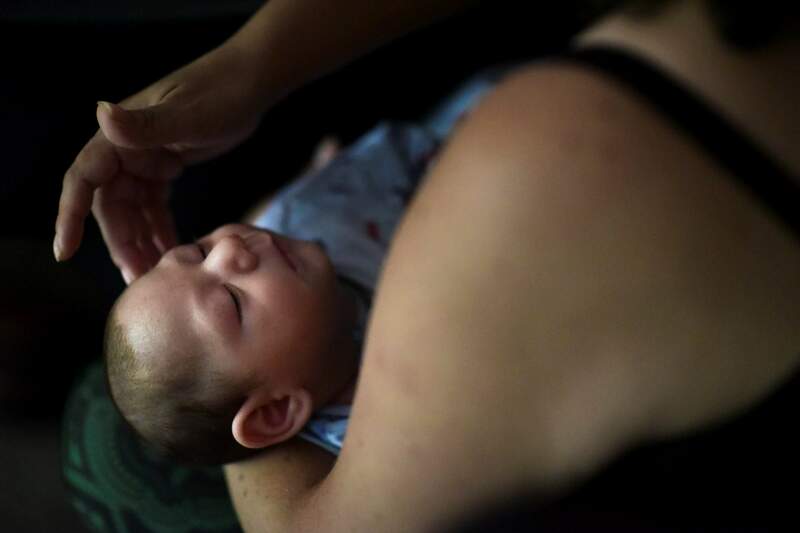 Puerto Rico resident Michelle Flandez caresses her two-month-old son Inti Perez, diagnosed with microcephaly linked to the mosquito-borne Zika virus, in Bayamon, Puerto Rico. In the first long-term look at what happened to children of U.S. mothers who were infected with Zika during pregnancy, one in seven developed some kind of health problem – ranging from birth defects to conditions that became apparent only later. NEW YORK – One out of every seven babies born to U.S. mothers who were infected with Zika during pregnancy developed some kind of health problem, according to the first long-term look at those children. The study, released Aug. 7, focused on the children of women in Puerto Rico and other territories, where most of the U.S. cases were seen when the disease swept across the Americas more than two years ago.